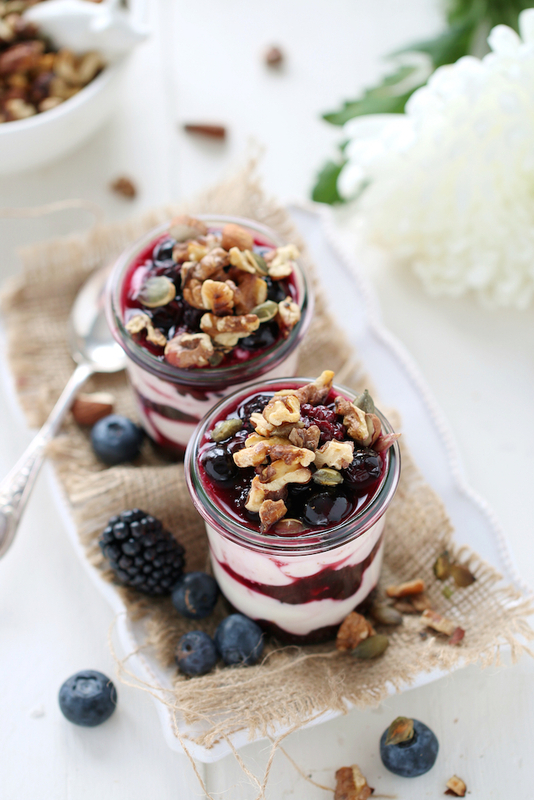 We all have mornings where leaving the soft warm cocoon of our bed is a struggle – this transition to the harshness of the real world can be made a lot easier by the prospect of a delicious breakfast such as the sumptuous ‘Verry Berry Breakfast Parfait! The blueberries and blackberries combined with a dash of citrus juice and zests lend it a wonderfully understated sweetness. The soy yogurt – making this a vegan delight – creates a beautiful creaminess that will leave you wanting more. 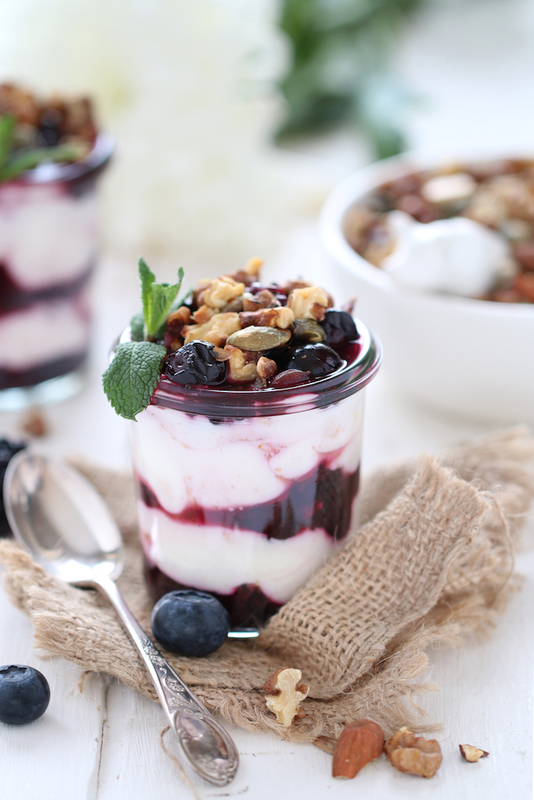 It’s hard to believe that this parfait is actually good for you as it could easily be served as dessert – more about its health benefits below. Eat breakfast like a King – lunch like a Prince – dine like a Pauper! Stop eating 3 hours before going to sleep – this will help your system to wind down and release melatonin. Avoid fatty meals – stick to lean meats, vegetables and carbs such as rice and pasta. Restrict your alcohol intake to one/two small drinks – even though it might make you fall asleep better, consuming more can disrupt the second half of your sleep. Follow a balanced diet – make sure to get all the vital nutrients as a lack of them can affect your sleep. Drink enough water – dehydration can influence your sleep quality, although you might want to stop 3 hours before turning in so as not to have to sprint to the toilet all night long. Don’t go to bed hungry – rather have a little snack – your body’s ancient history will send you hunting for provisions – a bad habit that dates back to our caveman days. Here are some possible late night snacks: cherries (contain melatonin); goji berries; a glass of hot milk with honey; a bowl of millet porridge; a banana (magnesium and potassium relax the muscles). Blackberries and blueberries are a very good source of vitamin C, vitamin K and the mineral manganese, they are rich in antioxidants (protection against free radicals) and are a good source of dietary fibre. Blackberries also contain a good amount of vitamin E, folate, magnesium and potassium. 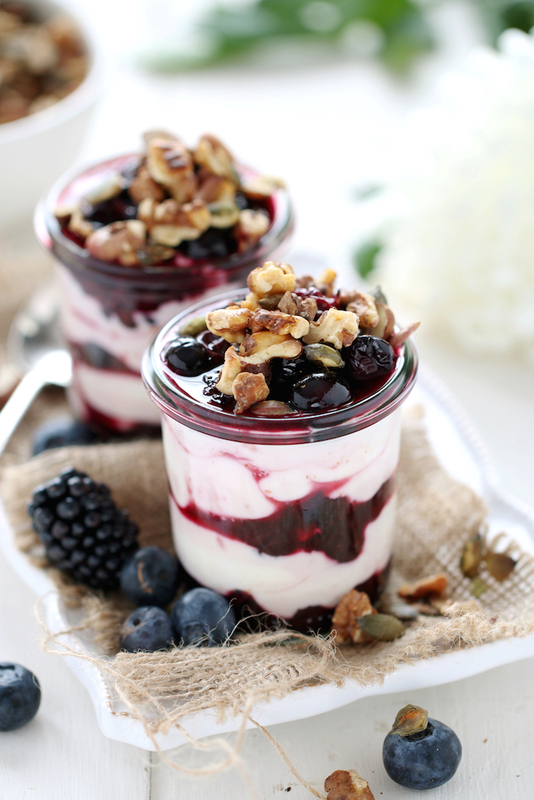 Using soy yogurt will increase your calcium and vitamin D intake. The orange will boost the vitamin C content and increase your folate, potassium and thiamin intake. Bone Health – Manganese aids in supporting the mineral density of the spine and is vital to normal bone growth. Vitamin K (important for our bone metabolism) and vitamin D (enhances calcium absorption) are essential for a healthy bone structure. Heart Health – Vitamin K and manganese support blood coagulation. 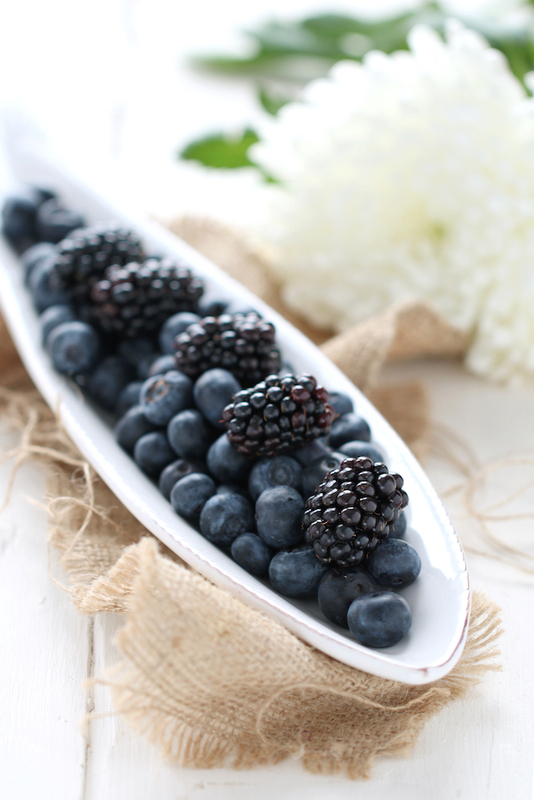 Salicylic acid found in blackberries can protect against heart disease and lower blood pressure. Stronger Immune system – Vitamin C controls your histamine levels – a lack of vitamin C can increase your histamine levels and negatively influence allergies, asthma and stomach ulcers. Vitamin D supports the reaction of white blood cells in case of infection. Skin Health – Ellagic acid, an antioxidant found in blackberries, can reduce damage from sun exposure and counter the breakdown of collagen. In addition, manganese supports the buildup of collagen and vitamin C is an essential co-factor for the synthesis of collagen. Don’t underestimate the citrus peel! Add all the berries, orange juice, zests, maple syrup and vanilla to a saucepan. Heat on low heat until the berries have given some of their colour to the juice. This will take about 5min. Take from the heat and leave to cool down. Take two glasses or bowls. First add a layer of berries, followed by a layer of soy yoghurt (2-3 heaped tbsp per layer) and so on – finish off with berries. Optimally you’ll get 5 layers. Top with the toasted nuts and seeds and whatever your heart desires. Make it more decadent! 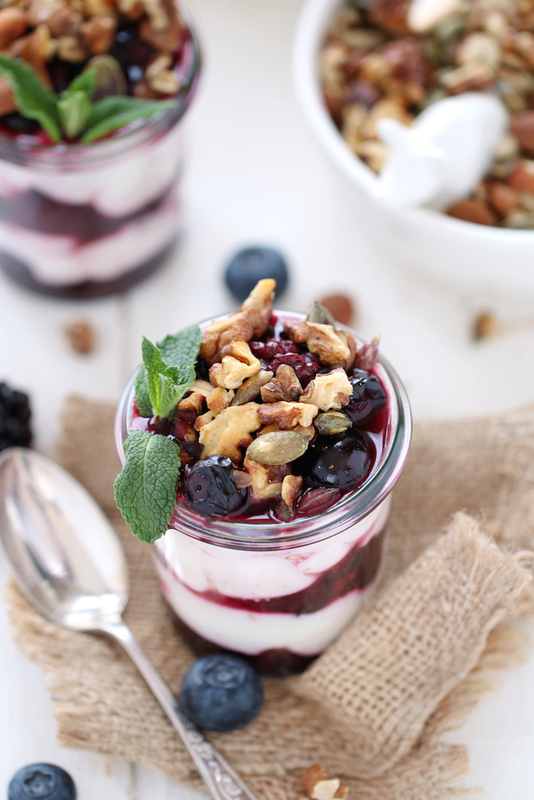 This Breakfast Parfait works wonderfully as a a light dessert. Dare to be decadent: make a mix of half greek yoghurt and half cream cheese and sweeten with a bit of maple syrup. Pure bliss!!! Make ahead! Prepare the compote the night before and let cool overnight. Burgerstein Handbuch Nährstoffe; Healing Foods; SELFNutritionData: blackberries, blueberries; New Health Guide; Boston.com; livestrong.com: soy yoghurt, The Disadvantages of Sleeping Immediately After a Meal; Mirror; health.com. White bowl with pig; spoon from Covent Garden Antique Market. This entry was posted in Food, Food Photography, Food Styling, Health, Recipes and tagged berries, breakfast, dairy free, detox, gluten free, photography, seeds, vegan, vegetarian by Françoise La Prune. Bookmark the permalink. Um, how amazing does this look?! Thank you for sharing, Francoise La Prune! Oh my God I am salivating!! This looks fantastic – your whole blog is just delicious! Your pictures and recipes are stunning! This looks delicious and i’ll definitely have to try this recipe out! Thank you Kate! This is really kind of you! Please let me know how it went! It’s so good! And if you can’t find soy yogurt, just use greek yogurt instead! 😉 Happy cooking! Your very berry composition looks and sounds perfectly delicious! Thanks for the wonderful suggestions! You’re welcome! 😄 Happy weekend!